Pastors’ Kids (PKs) are some of the most visible, talented, and criticized young people in the church. Specialized ministry for PKs can help them overcome some of the challenges of being raised in the church spotlight, but it must be built on an accurate understanding of how the young people perceive their PK experience. This article summarizes the findings of my Doctor of Ministry project, which surveyed 607 Pentecostal PKs in five Latin American countries and laid a conceptual foundation for PK ministry. The data suggests five distinctive clusters of advantages and corresponding disadvantages that define the PK experience: (1) PKs grow up with preacher-parents and receive a rich spiritual heritage, but the church often dominates family life; (2) PKs live in the church spotlight, enjoying special recognition, but feeling on display in the pastoral fishbowl; (3) PKs have access to the best of the Church world, but people expect them to be perfect “little pastors;” (4) PKs are privy to insider information about the ministry and the church, but too much information breeds cynicism and isolation; (5) PKs are on the fast track to leadership, but premature ministry may bring disillusionment or ethical failure. Those who minister to pastors’ kids can help PKs maximize their advantages and build relational PK ministry structures to counteract the disadvantages. As a young teen, Pablo was a good-looking, soccer-playing, hard-partying, girl-chasing, and drug-abusing pastors’ kid (PK) who made trouble in town with his rowdy cousins. When my wife and I met his family at our first PK retreat in Costa Rica in 2001, his pastor-parents had no idea what to do with their son, but hoped the PK ministry could help. 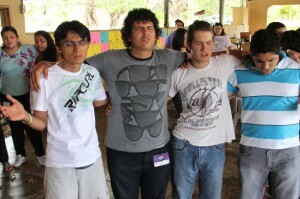 Two years later Pablo had a life-changing personal encounter with Christ at the PK camp altar. A group of PK guys became his new circle of friends and helped Pablo take steps to become the man of God he was created to be. Over the following years, we witnessed the slow, but steady, transformation as Pablo began to serve the Lord first as a PK camp assistant counselor, then as a youth leader in his church, a PK missions trip participant in Cuba, an award-winning blogger, a youth ministry trainer, and a university administrator. In 2009, Pablo helped write the nine-class youth ministry specialization now used to train thousands of youth leaders in Bible institutes across Latin America. Pablo insists that God used the Costa Rican PK ministry to save his life, and now he aims to raise up his generation for Christ. When my wife and I arrived in Costa Rica in 2000, national church leaders recognized they were losing a generation of PKs and asked us to develop a ministry for them. 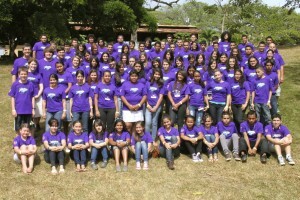 As the fledgling Costa Rican PK ministry team began to collect information on the 800 PKs between the ages of 12-25, we found only one who was actively preparing for ministry in the Bible school system, while several were in rehabilitation for drug abuse. Pastors begged us to help their children who struggled with bitterness toward the church and ministry. The dearth of published materials presents a major challenge for people who want to help PKs. Tim Sanford’s full-length academic book on the subject identified perfectionism, resulting from impossible expectations, as the root of the most common pathologies found in adult PKs. Cameron Lee’s psychological study identifies the PK identity crisis as a central theme for those who grow up in the shadow of larger-than-life ministry parents. PK-focused articles in popular Christian magazines offer parenting tips for pastors, emphasizing how a lack of personal boundaries or integrity can negatively affect clergy children. Although literature offers valuable insight it does not prove very useful when standing in front of a group of teenage PKs at a retreat. Effective PK ministry must acknowledge the challenges of growing up in the parsonage, but must then build on the unique opportunities offered the PK. When PKs describe their experiences, they often talk simultaneously about the good and the bad. PKs resent being forced to classify their overall life experience as either “good” or “bad,” which allows others to label them as “saints” or “rebels.” Instead, PKs must be given permission to acknowledge the coexistence of both positive and negative elements. The way leaders perceive the reality of PK life often dictates, for good or ill, the effectiveness of the ministry effort. Effective ministry to PKs depends on the leadership having an accurate understanding about PKs. In 2007 and 2008, I held several PK workshops, asking PKs to name advantages and disadvantages in their experience, and began to put together a general theory of the principal PK blessings and syndromes. 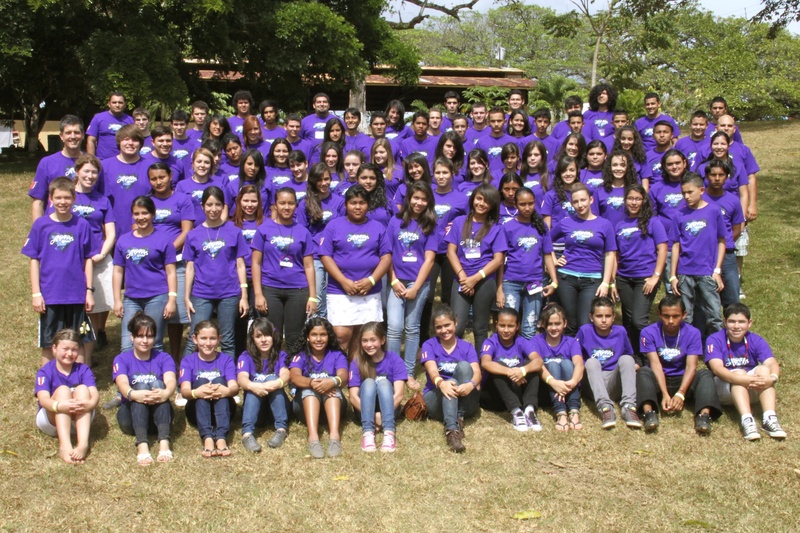 Between July 2008 and August 2009, Costa Rican PK ministry team members participated in six different PK retreats in five countries: Argentina, Costa Rica, Cuba, El Salvador, and Panama. During these retreats, 607 participants completed a survey designed to establish a body of solid data on the perceived advantages and disadvantages of PK life. After collecting initial demographic information, the survey was divided into two sections. The subjective section asked PKs to name three advantages and three disadvantages of being a PK. The objective section presented seventy-seven concrete statements a PK might make about his or her experience, to which the responder indicated how it matched his or her experience. The 607 survey respondents wrote down 1,378 advantages and 1,264 disadvantages, which were grouped by similar answers, producing 18 typical advantages and 26 disadvantages. The subjective responses were compared to the 46,739 bits of data generated by the 77 objective questions. PK ministry begins by asking, “What makes PKs different than other church kids?” Through this survey the PKs themselves answer that question. The survey data suggests that PKs perceive their life to be unique in five distinctive areas. Like a coin with two sides, each PK distinctive includes advantages as well as disadvantages. PKs grow up in highly-committed Christian families with parents engaged in vocational ministry. Preacher-parents usually have specialized biblical training, hold ministry credentials, and provide spiritual leadership for the church. Ministry is not a software application that shuts down after office hours; it is the preacher’s operating system, running constantly in the background of his or her personal and family life. 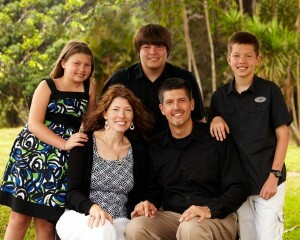 The pastoral family’s ministry-focused life offers PKs the advantage of a unique spiritual heritage as well as the disadvantage that the church can dominate every aspect of family life. “My parents enjoy a strong and close marriage” (91%). Disadvantage of Distinctive #1: The “Professional Church Family” Syndrome. Pastors are highly visible and often well-loved in the local congregation. Their children may share the benefits of special recognition afforded their parents, but also find themselves living in a fishbowl, observed and often criticized by all. PKs mention other perks of recognition, especially free food: “When they sell tamales (or coffee drinks, cookies, etc., depending on the culture), they never make me pay for it.” PKs also enjoy using the church musical instruments, sound equipment, and office electronics, as well as having unlimited access to the church building. Many PKs also express the blessing of having a local support network in the congregation: “The church people watch out for me, help me, protect me, and take care of me.” Several PKs acknowledged that they felt a special spiritual protection because church people were praying for them. This support network sometimes helps PKs find employment and provides financial help for camps or missions trips. PK life in the spotlight includes the disadvantage of the “fishbowl syndrome,” constant public observation that brings a lack of privacy, the withering effects of criticism, and a constant struggle against stereotypes. Like a fish in a fishbowl, the PK can never get away from the prying gaze of the church people. PKs enjoy unique access to the best of the Christian world. The PKs family connections provide a rich circle of relationships that offer insight into the worldwide kingdom of God. PKs are also likely to have access to the best activities, events, and institutions of the Christian world. The PKs clearly regard these rich family and network connections as a major advantage. “Meeting people” ranked as the fifth overall subjective advantage and traveling to Christian events was affirmed as a major plus. Overall, having PK friends to talk to ranked as the tenth subjective advantage, and 77% said they have PK friends. Participation in PK events and making PK friends is highly valued. Since the PKs relationships in the broader Christian world are tied to the family’s identity, the same last name that provides the all-access membership may also make it difficult for the PK to establish his or her own identity and vocation. The VIP access tag of the PK may lead other people to expect him or her to act like a little pastor. This means that PKs feel a need to live up to impossible standards of perfection. Statements like, “I always have to be perfect” and “I can never make mistakes,” showed up as the third most common disadvantage on the subjective answers. Seventy-eight percent of PKs agreed that “people expect me to be the example for the other young people in my church.” The 50% positive response to the statement, “I feel guilty because I ought to be better than I am” indicates that many PKs have internalized high expectations of themselves. Fifty-nine percent of the PKs agreed to the following statement: “People expect me to serve because I am the pastors’ kid,” while 43% said, “They complain that I only serve because I am the pastor’s kid.” People criticize either way. Living with pastors, PKs handle insider information about the church. On the positive side, they may enjoy being “in the know” about church people and activities; they may also value getting special insight into the heart and mind of their parents. The problem comes when they inevitably get too much information. Knowledge of the dark side of the church can breed bitterness and resentment even as PKs have to show up every Sunday morning with their “smiley face” mask in place. As they live with and, perhaps, serve alongside their parents, PKs may enjoy being in the information loop, hearing first about plans and people in the church. They may also understand their family conversations as a special opportunity for ministry formation as they watch Christian leadership up close. PKs clearly affirm the benefit of leadership mentoring and the advantage of special information. A great majority of PKs claim that watching the preacher-parents up close taught them about conflict resolution (77%) and leadership (75%). Sixty-one percent of PKs received private information about the church and 45% claimed to hear private information about individuals in the church. Some ministry families wisely establish and protect boundaries of how much private information they share with their children. Insider information eventually leads to too much information, and PKs and their families face the daunting task of dealing effectively with the dark side of the church. Even when parents are careful about sharing information with their children, PKs are exposed to church conflict, human sinfulness, and personal rejection. The PKs asserted, both in the subjective (#6 overall) and objective (83%) responses, that watching their parents suffer under the criticism of church members is the most painful aspect of the “too much information” syndrome. Twenty-seven percent affirmed having watched their parents suffer “at the hands of the authorities,” which the survey intended to refer to the government, but at least one PK asked in the margin if church authorities counted. Many PKs grow up serving in the church, and they may be offered early and accelerated opportunities in ministry leadership. Unfortunately, this fast track also includes the risk of premature leadership. Pastors’ kids who show unusual gifts and spiritual sensitivity may be placed on the fast track to ministry leadership. PKs grow up learning the mechanics of ministry and may develop substantial ministry gifts as they grow up in church and serve alongside their parents. The ministry parents and their church world network may, in turn, open doors for developing PKs to exercise ministry leadership. Based on demographic responses, 469 (77%) of PKs surveyed reported already being involved in some kind of ministry, with the top three being worship music (50%), youth (16%), and children’s ministry (8%). A majority of PKs affirm that their parents’ initiative (86%) and growing up in the church (79%) have helped them develop their talents, and that they are currently actively participating in ministry at church (75%). The third overall advantage mentioned in the subjective responses was “Ministry—being a PK develops, helps, and opens doors for you in ministry.” Many PKs take seriously the privilege and responsibility of being an example for the other youth to follow (53%), and that as a PK, people trust and give them opportunities (#14 Trust). The fast track to early ministry leadership includes the danger of premature leadership, which may thrust the young PK into a vocational track that he or she may not understand or possess the emotional maturity to handle. Another potential danger lies in the “Sons of Eli syndrome,” where a PK with corrupt character takes advantage of a ministry position for personal gain. In the survey PKs report feeling their current responsibilities may exceed their emotional maturity (subjective #14 Responsibility). Other PKs express feeling overwhelmed by the pressure of their current leadership (#11 Pressure), or by a lack of appreciation (#20 Unappreciated). Some PKs resent church peoples’ accusations of favoritism or nepotism (43%). A small percentage of PKs admit to serving at church while harboring habitual sin (18%). A premature commitment to ministry as a vocational track—what James Marcia called “identity foreclosure”—may lead some PKs to feel stuck and forced to become something they do not want to be. Forty percent of the PKs reported feeling pressure “to become a pastor like my parents (Q49). When pastor-parents live in integrity at home and maintain clear boundaries with a healthy church, PKs enjoy many advantages. 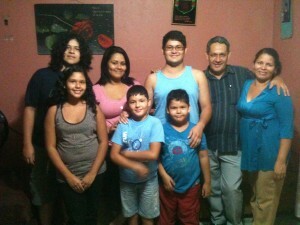 At home, they receive unique spiritual formation and enjoy healthy parental modeling and support. In the local church, they get the opportunity to develop ministry and people skills and may enjoy a supportive social network. Parents and church leaders who actively insist that the pastor’s children receive “normal” treatment dramatically reduce the pain of unfair expectations. In the broader Christian world, PKs may participate in high quality Christian ministries, travel, and gain a broader worldview through the lens of the kingdom of God. As they mature and interact more deeply with their parents, they may enjoy personal mentoring; as they develop their gifts, they may find open doors to ministry leadership. Two outside elements conspire to breathe oxygen and life into the PK ecology of me-family-church. The first comes directly from the Lord as He pursues His children with grace, unconditional love, and a second chance. The Lord also sends PKs encouragement through caring adults and understanding friends who come alongside the PK and walk with him or her through life in the stained glass jungle. PK camps, PK friends, and supportive adult advocates can come alongside PKs to love them, listen to them, and create spaces where PKs can “be normal” and connect with God for themselves. PK ministries and trusted adult friends can provide a pressure release valve that can make the difference between a PK exploding or finding the grace and sanity to keep going. Pastors’ kids make up an important link in the chain of God’s grace. When they are fulfilling God’s purposes, the pastoral family and the whole church can flourish. Timothy L. Sanford, “I Have to Be Perfect” and Other Parsonage Heresies (Colorado Springs, CO: Llama Press, 1998). Cameron Lee, PK: Helping Pastors’ Kids Through Their Identity Crisis (Grand Rapids, MI: Zondervan, 1992). Such as Michael Phillips, “Fatal Reaction: Antidotes to PK Poisoning” Leadership 13, no. 4 (Fall 1992): 26-32. This was a widely-quoted article, yet was based on pastoral conversations with a few angry adult PKs and the reflections of three pastors the author respected. The entire Fall 1992 issue of Leadership was devoted to PK and pastoral family issues. James Marcia, “Identity in Adolescence,” in Handbook of Adolescent Psychology, ed. J. Adelson, 159-187 (New York, NY: Wiley & Sons, 1980), 161. Great article Jon! Not only does this information help us more effectively provide orientation and training to our pastors, but it also helps us understand what’s happening in the lives of our own kids. This article is a summary of a more complete study, right? Is there any way our missionaries can have access to your complete study? Thanks, Rod and hello to everyone! This is an article that first appeared in AGTS’s Encounter Journal online this summer in both English and Spanish, as a summary of my D.Min. dissertation project on PKs in Latin America. The big project includes a theological foundation for passing along faith to the next generation, and the literature review covers in detail the published material on PKs and ministry family dynamics. It does not answer the question “what makes PKs turn out good,” but I think it offers a detailled snapshot of how the PKs who come to a retreat view their experience and their families, and helps us understand how to better minister to them in that reality. I have included links below to PDF versions of the article in English and Spanish, as well as the bigger D.Min. project. Blessings! Thank you Jon for these solid insights that could only come to light as a result of your doctoral studies! This definitely changed my perspective on relating to PK’s. Jon, this appears to be a very useful study of an important subgroup in the youth ministry culture. I would be interested in the results of your research to inform our Bible school’s curriculum for training youth leaders.